– Cathy Kelley previews new WWE Network Collections for July in this new video – a new Collection on WWE Hall of Famer Roddy Piper and his Piper’s Pit segments plus a new Collection on Razor Ramon, hosted by WWE Hall of Famer Scott Hall. – This week’s WWE SmackDown ranked #2 among series & specials for the night in Nielsen’s social media TV ratings, behind Macys 4th of July Spectacular on NBC. SmackDown had 92,000 interactions on Twitter with 22,000 unique authors, up from last week’s 81,000 interactions and 21,000 authors. SmackDown also had 108,000 Facebook interactions with 78,000 unique authors last night, up from last week’s 82,000 interactions and 52,000 authors. 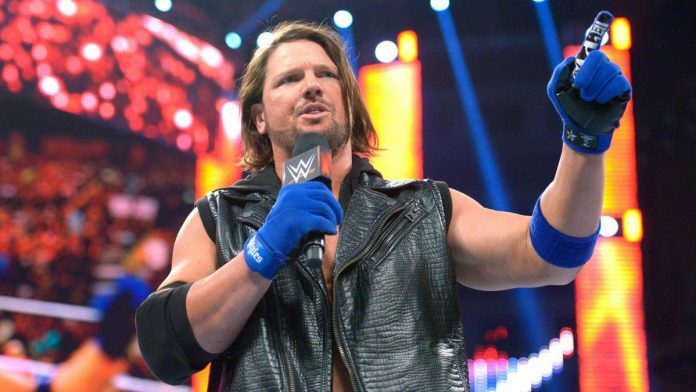 – Chad Gable and AJ Styles made the following tweets on last night’s SmackDown match, which AJ won to earn a spot in the Independence Day Battle Royal. As noted, AJ won the battle royal to earn a shot against WWE United States Champion Kevin Owens at Battleground. It's scary how motivating a night like last night is for a guy like me.